ON November 3, 2014, The Asian Age published a report by Trudy Harris of the Agence France-Press, a global news agency. It was published in Dawn of November 5, and, presumably, other papers abroad as well. It revealed a shameful episode in independent India’s history of persecuting its own citizens mindlessly and without accountability. Untold harm was done, lives were ruined, and properties confiscated, never to be returned. This sordid episode found little or no mention in the Indian press. The episode is about the arrest and internment of 3,000 persons of Chinese origin in the wake of the war with China. It lasted a month, from October 20 to November 21, 1962, and was confined to the borders in Ladakh and Arunachal Pradesh, then the North-East Frontier Agency (NEFA). The head of the Intelligence Bureau (I.B.) was B.N. Mullik. As early as in February 1949, he questioned the loyalty of the Chinese residents in the country. The People’s Republic of China was established eight months later. How professional can an I.B. chief be who could imagine, even in 1971, that it was “essential to restore Tibetan independence”? His justification for the action is reproduced in full. “By about 10 November, when it was plain that the Chinese were poised for a massive attack on our positions all along the NEFA frontier, it was decided that under the Defence of India Rules further security precautions should be taken in North Bengal and Assam and throughout the country in general to prevent any possible betrayals and acts of sabotage in support of the enemy. There was a large number of Chinese nationals in Assam and many of them were working in the tea gardens north of the Brahmaputra. There was a fair number of Chinese in Kalimpong and Darjeeling besides a very large number of them in Calcutta. Many of them had worked in collusion with the Chinese Consulate in Calcutta till it was closed and it was noticed that there was much jubilation amongst these people over the Chinese victory at Nyamkachu and Kibithoo in the month of October. The State governments of Assam and West Bengal had both represented to the Government of India that these foreign nationals, who were in obvious sympathy with China, posed a serious security danger when the frontiers were endangered and so they should be detained and removed from at least Assam and North Bengal. “In a defence meeting on or about 13 November, the Prime Minister Jawaharlal Nehru enquired from me what steps were being taken to immobilise these persons and I replied that the Home Ministry was considering the necessary steps. The Prime Minister said that all these Chinese nationals should be removed from Assam and North Bengal and he asked me to suggest this action to the Home Minister. When Vishwanathan (Home Secretary) and I met the Home Minister in the afternoon and proposed this action, somehow or other the Home Minister did not react. The question at that time also arose of the detention of some of the Marxist Communist leaders who were talking in equivocal terms about the border question. Also there were some in West Bengal and Assam who were known as China supporters. “The next day the Prime Minister again enquired from me whether the Home Ministry had taken a decision, to which I replied that the matter was still under consideration. I also mentioned this at the meeting of the Secretaries’ Committee, which was also of the view that action should immediately be taken against the Chinese nationals in India and the extremist Marxist Communist leaders. But for some reason or other the Home Minister still would not decide. However, on the 17th, when the news of the fall of Walong was received and other disasters seemed imminent, (Home Secretary) Vishwanathan, L.P. Singh and myself argued this out with Home Minister Lal Bahadur Shastri and he was at last convinced that further delay in taking this very necessary security measure might lead to disastrous consequences. On that day orders were issued to all the States to arrest and detain under the Defence of India Rules extremist leaders amongst the Marxist Communists and also arrest and remove from Assam and North Bengal all Chinese nationals. Once the clearance to this action had been received the implementation followed quickly. The I.B. in consultation with the State CIDs had kept ready lists of persons to be arrested apprehending that such a contingency would arise and, with the approval of the Minister, these were immediately flashed to the respective State CIDs and it goes to the credit of the State governments and their police that within 24 hours of the receipt of the orders most of the arrests had been completed and the Chinese from Assam and North Bengal were moved out from these areas within 48 hours. Subsequently, a camp was established in Deoli in Rajasthan where these detained Chinese nationals were kept” (The Chinese Betrayal, Allied; 1971; pages 425-6; emphasis added throughout). Note, that, as Mullik records, orders for the arrests were issued from New Delhi to the State governments of Assam and West Bengal on November 17. Four days later, on November 21, China not only declared a ceasefire but also withdrew its forces to the Line of Actual Control. The “security threat”, if it at all existed, vanished. But no effort was made to halt the operation, just as no effort was made to discriminate between the few reasonably suspected and all others. All were punished en bloc. That simply because they were of Chinese origin was enough to suspect their loyalty to India. Now, read these extracts from Trudy Harris’ report from Kolkata. It is based on accounts by eyewitnesses who have no reason half a century later in 2014 to give a false account of what happened in 1962. “Suspected of being a spy or a China sympathiser, nine-year-old Indian-born Monica Liu and her family were loaded into railway cars for a detention camp in India’s Rajasthan desert. Monica Liu was one of about 3,000 people of Chinese descent, most of them Indian citizens, rounded up and held at the fenced camp without trial after India’s month-long border war with China in 1962. 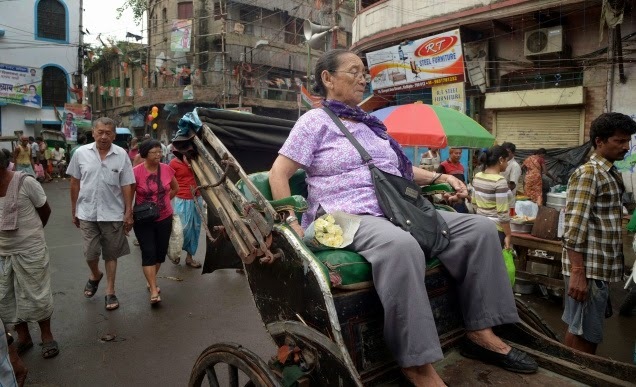 “The dwindling Chinese community, strongest in Kolkata, has long stayed quiet about the injustice that some of them have suffered, fearful of drawing attention. Only a handful are prepared to speak out—and want the government to admit its treatment of them during that time was a mistake. ‘The wounds haven’t healed. The suffering has to be acknowledged first for the wounds to be healed. This has never happened,’ said Paul Chung, President of the Kolkata-based Indian Chinese Association. “‘We didn’t carry guns, we didn’t do anything. 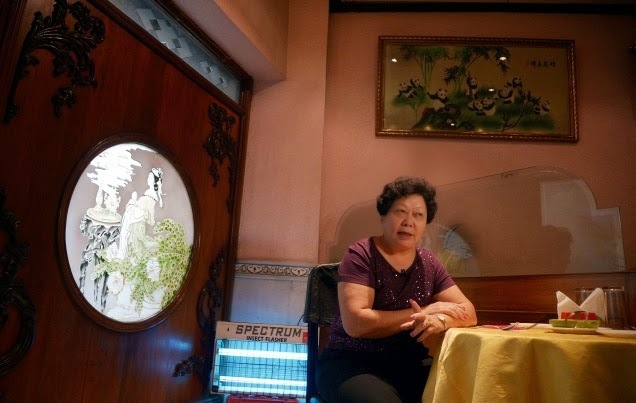 We were sleeping in our houses, then all of a sudden the police would come at 12 o’clock at night.’ Liu, who now runs a string of Chinese restaurants in Kolkata, said she doesn’t have time to dwell on the past—but her anger remains. ‘We were working hard. We were not politicians, we were not spies,’ Liu said of her family which was rounded up in the north-east city of Shillong…. “Most of the 3,000 detainees accepted deportation to China, and were the first to be released. 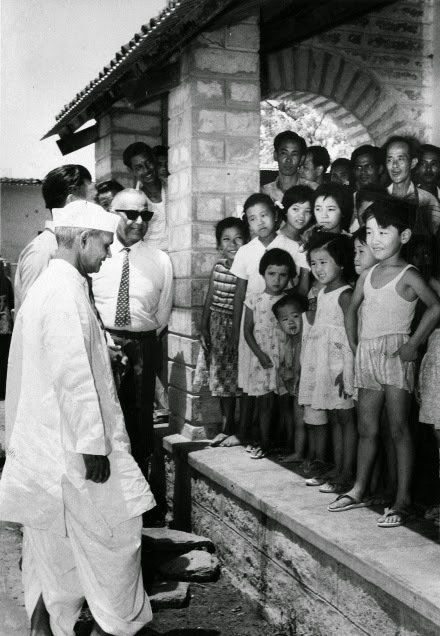 But several hundred who wanted to stay in India, or feared China’s communist rulers, languished in the camp for years. They eventually returned to their homes in India to discover property and belongings confiscated, auctioned or looted. “During the years of discrimination that followed, many others left, along with younger generations searching for better study and job prospects in Canada, the United States and Australia. “The community was once tens of thousands strong, after Chinese arrived in India from the 1700s as traders or carpenters and to set up sugar refineries and tanneries. According to Chung, it now numbers about 4,000, most of them in Kolkata, which was hit hard in 2002 when a court ordered the city’s tanneries, largely Chinese run, to move out for pollution reasons. “A daily Chinese-language newspaper is still printed there and temples have been restored. Plans have been mooted to revamp Kolkata’s Chinatown and preserve its heritage, but nothing has been finalised. Above a Chinese spicy sauce factory, 76-year-old Jenny Lu recalls her fear when officials came knocking. She grabbed her baby daughter, two-year-old son, nappies and a pillow before being loaded onto the train in Shillong for Deoli in 1962. ‘We are protecting you, that’s why we are taking you,’ she said authorities told…. Her face sobers as she describes how she, her husband and family eventually returned to Shillong to discover their home and business gone. Fortunately, the distinguished journalist S.N.M. Abidi is writing a book on the detainees at Deoli. Incidentally, that is where the Communist Party of India’s leaders were detained until their release shortly after Hitler attacked the Soviet Union. There is, however, an instructive parallel—the internment of persons of Japanese descent on the west coast of the United States after Japan’s attack on Pearl Harbour on December 7, 1941. Lobbyists from western States, many representing competing economic interests or nativist groups, pressured Congress and the President to remove persons of Japanese descent from the west coast, both foreign born (Issei, “first generation” of Japanese in the U.S.) and American citizens (Nisei, the second generation of Japanese in America, U.S. citizens by birthright). During Congressional committee hearings, since the Department of Justice representatives raised constitutional and ethical objections to the proposal, the U.S. Army carried out the task. The west coast was divided into military zones, and on February 19, 1942, President Franklin D. Roosevelt issued Executive Order 9066 authorising exclusion. Congress then implemented the order on March 21, 1942, by passing Public Law 503. After encouraging voluntary evacuation of the areas, the Western Defence Command began involuntary removal and detention of west coast residents of Japanese ancestry. In the next six months, approximately 1,22,000 men, women and children were moved to assembly centres. They were then evacuated to and confined in isolated, fenced and guarded relocation centres known as internment camps. The 10 relocation sites were in remote areas in six western states and Arkansas. Nearly 70,000 of the evacuees were American citizens. No charges were made against them, nor could they appeal their incarceration. All lost personal liberties; most lost homes and property as well. Although several Japanese Americans challenged the government’s actions in court cases, the Supreme Court upheld the legality of these actions. Nisei were nevertheless encouraged to serve in the armed forces, and some were also drafted. Altogether, more than 30,000 Japanese Americans served with distinction during the Second World War in segregated units. Those infamous rulings of the U.S. Supreme Court are Gordon Kiyoshi Hirabayashi vs United States of America (320 U.S. 81 (1942). Chief Justice Harlam Fiske Stone delivered the main judgment. None in the Bench of nine judges dissented. It concerned an American citizen of Japanese ancestry who had defied a curfew order. Justices William O. Douglas and Frank Murphy wrote concurring judgments upholding the order and the conviction for its breach. In Fred Toyosaburo Korematsu vs United States of America (323 U.S. 214 (1944), another liberal judge, Hurgo L. Black, upheld a more drastic order excluding persons of Japanese descent from a specified area even though, as he noted, “no question was raised as to the petitioner’s loyalty to the United States”. Justice Owen J. Roberts dissented. This, he said, was a case of “punishment for not submitting to imprisonment in a concentration camp based on his ancestry”. Justices Murphy and Robert H. Jackson also dissented. Rulings such as these are not given by courts on purely legal considerations. Walter P. Murphy’s book Elements of Judicial Strategy (The University of Chicago Press, 1964) is a classic of its kind. He wrestled courageously with the problem that faces any serious student of his country’s apex court. Some try to escape the dilemma by lacing mild criticism with sickening flattery. That is not for him. “One of the occupational hazards of writing in a realistic fashion about the Supreme Court of the United States is that one runs the double risk of being accused of muckraking by those who, at a given moment, identify themselves as the friends of the Court and the sometimes even more unpleasant fate of being lauded by those who currently proclaim themselves to be its enemies. When one dares to use the private papers of deceased Justices to bolster one’s analysis, the likelihood of both dangers actually occurring becomes great indeed.” His aim is to understand. His expose of what went on in secret within the U.S. Supreme Court on those cases is very revealing. He writes: “In situations where the Justice feels that the general political environment requires unanimity, he might play on the isolation of a would-be dissenter. “Murphy was apparently moved at least to second thoughts about the possible implications of what he was doing. Within a few days he had switched his vote and had modified his dissent into a concurrence, though one which still expressed concern over the ‘melancholy resemblance’ between United States treatment of the Nisei and Nazi treatment of the Jews.” (pages 46-47). Far more passionate was a memorandum by a judge to all his colleagues in a case [Ex parte Quirin 317 U.S. 1(1942)] which concerned the trial of Nazi saboteurs. He pleaded: “Some of the very best lawyers I know are now in the Solomon Island battle, some are seeing service in Australia, some are sub-chasers in the Atlantic, and some are on the various air fronts. It requires no poet’s imagination to think of their reflections if the unanimous result reached by us in these cases should be expressed in opinions which would black out agreement in result and reveal internecine conflict about the manner of stating that result. I know some of these men very, very intimately. I think I know what they would deem to be the governing canons of constitutional adjudication in a case like this. And I almost hear their voices were they to read more than a single opinion in this case. “They would say something like this but in language hardly becoming a judge’s tongue: ‘What in hell do you fellows think you are doing? Haven’t we got enough of a job trying to lick the Japs and Nazis without having you fellows on the Court dissipate thoughts and feelings and energies of the folks at home by stirring up a nice row as to who has what power…? Haven’t you got any more sense than to get people by the ear on one of their favourite American pastimes—abstract constitutional discussions? … Just relax and don’t be too engrossed in your own interests in verbalistic conflicts because the inroads on energy and national unity that such conflict inevitably produces, is a pastime we had better postpone until peacetime” (pages 48-49). “My judgment sent to one of my brother judges had not been returned to me. The way Kumaramangalam a week before had congratulated Ray made it obvious that Ray knew, and that he had already given his consent. …All these clearly showed that Ray knew about the announcement of his being appointed Chief Justice much earlier.…” Clearly, some of the judges had leaked their judgments to H.R. Gokhale, the Law Minister, and to S. Mohan Kumaramangalam, in effect to the P.M. Indira Gandhi. “One of the most significant pieces of information about how one of the Ministers of Indira Gandhi’s Cabinet tried to influence one of the colleagues in the 13-Judge Bench has been narrated by his wife. It appears that the Cabinet Minister and his wife who were well known to my colleague and his wife invited themselves on one or two Saturdays for lunch to persuade him to take the view which the government wanted the court to take so that the judgment would be that of a majority which without him would be a minority. In fact the colleague was told that if he didn’t agree he would be losing a great opportunity for a higher post. I was proud to know of his forthright refusal and also when he told them that such a job may be offered to another colleague who will really welcome it” (The Judiciary I Served; Orient Longman, 1999; pages 242-243, 246 and 248). We know from the memoirs of B.N. Tandon, an aide of Indira Gandhi, that P.N. Haksar called on all the judges except H.R. Khanna to influence them in Indira Gandhi’s election case. The brutal treatment of Chinese Indians never reached the portals of the Supreme Court of India. It is unlikely to have provided redress. Even in calmer times its record on the Terrorist and Disruptive Activities (Prevention) Act (TADA), the Prevention of Terrorism Act (POTA) and the Armed Forces (Special Powers) Act (AFSPA) has been pathetic. The least the Indian state can now do is to offer an apology and compensation to the victims. It should take effective ameliorative measures to improve the lot of Chinese Indians in the country, and in Kolkata particularly. Along with S.N.M Abidi, non-governmental organisations should join hands to prepare a White Book on 1962 and on the problems facing these talented people who have enriched India. Nice article. Like most things in life, most problems can be solved with food. When its the question of Indians & Chinese, what better than fresh fish online ?